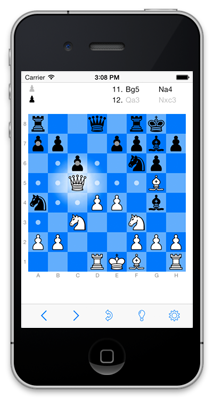 Welcome to the web site for tChess, the best chess app for the iPhone, iPad, and iPod touch! There are two versions of tChess, Lite and Pro. You can click on the links below to learn about either one. 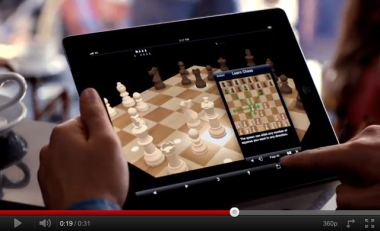 tChess was featured in Apple's "Learn" iPad commercial! "As a chess teacher and chess enthusiast, I'm always on the lookout for cool chess tools ... What [tChess Pro] has over the others is its analysis mode. This way I can compare my own thinking with the engine analyzing any given position." See what others are saying about tChess!